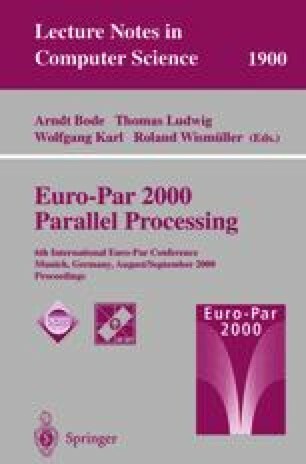 This work presents a novel strategy for the parallelization of applications containing sparse references. Our approach is a first step to converge from the data-parallel to the automatic parallelization by taking into account the semantical relationship of vectors composing a higher-level data structure. Applying a sparse privatization and a multi-loops analysis at compile-time we enhance the performance and reduce the number of extra code annotations. The building/updating of a sparse matrix at run-time is also studied in this paper, solving the problem of using pointers and some levels of indirections on the left hand side. The evaluation of the strategy has been performed on a Cray T3E with the matrix transposition algorithm, using different temporary buffers for the sparse communication. The work described in this paper was supported by the Ministry of Education and Culture (CICYT) of Spain under project TIC96-1125-C03.